American Dairy Queen Corporation operates a 6,800 unit franchise system in the United States and 28 other countries. 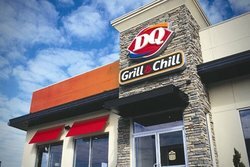 The Dairy Queen Grill & Chill restaurants are the flagship concept of Dairy Queen, which also owns the Orange Julius brand. Dairy Queen Grill & Chill restaurant is a quick service food restaurant with seating from which you will sell the full line of approved soft-serve, treat, food and beverage menu items. Fans of our delicious food and mouth-watering treats have remained loyal to the brand for over 75 years. We are now looking to expand into the UK and seek likeminded individuals to join our award winning franchise.